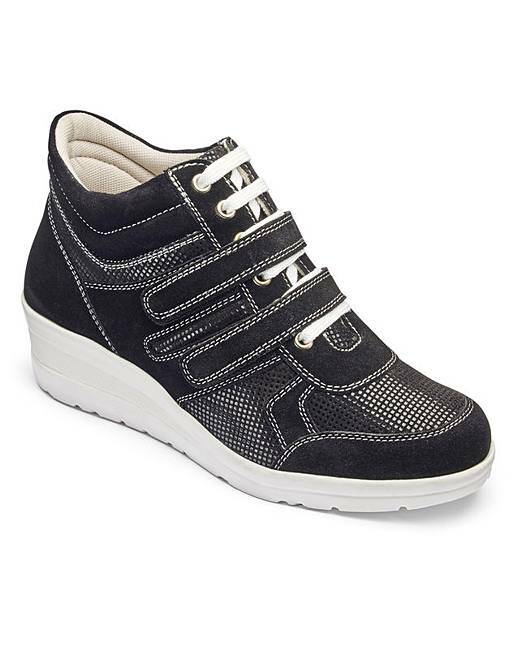 Wedge Shoes E Fit is rated 4.3 out of 5 by 7. 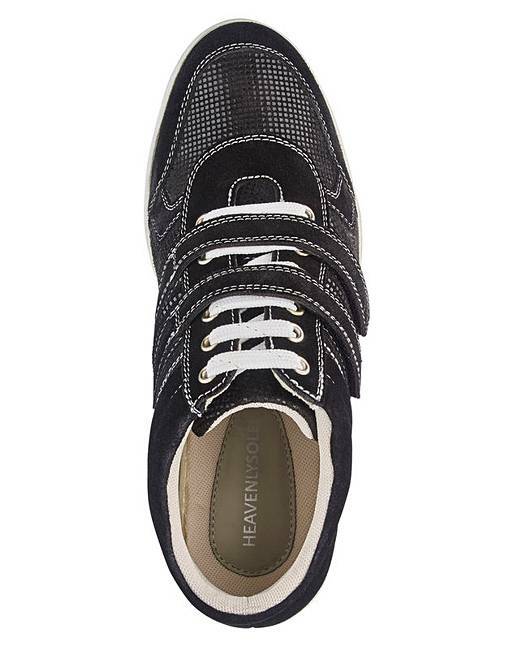 These stylish leather shoes from Heavenly Soles with strap and lace-up detail, combination uppers and wedge sole unit combine comfort with a casual leisure look. 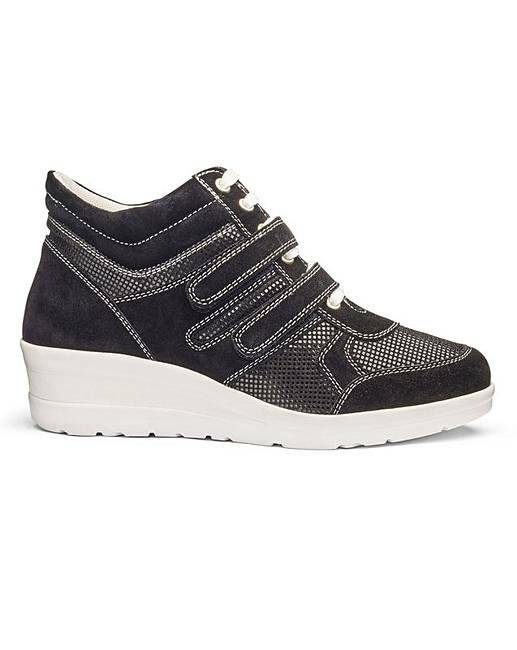 Rated 5 out of 5 by Jaroma from Just the Thing I bought these recently and they are comfortable and stylish - it's nice to find a trainer with a wedge heel which gives me added height, they look great on too. 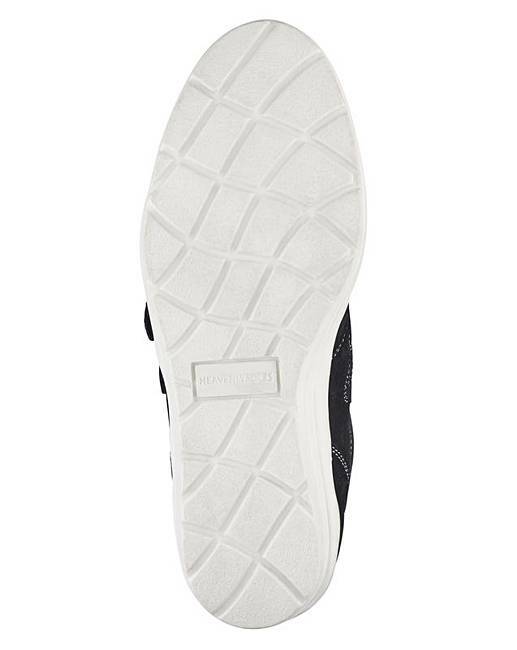 Rated 4 out of 5 by AnnaTee from Comfy Nice heel height and very comfortable. Will order in another colour too. Rated 5 out of 5 by Little Annie from Gorgeous I bought these a few weeks back and there gorgeous, great fit and comfy. Rated 5 out of 5 by Bella7745 from Lace up/velcro bootie. I instantly fell in love with this pair of booties. Loved the colour choice of burgundy, white laces and soles. Very attractive, plus warm and comfy. 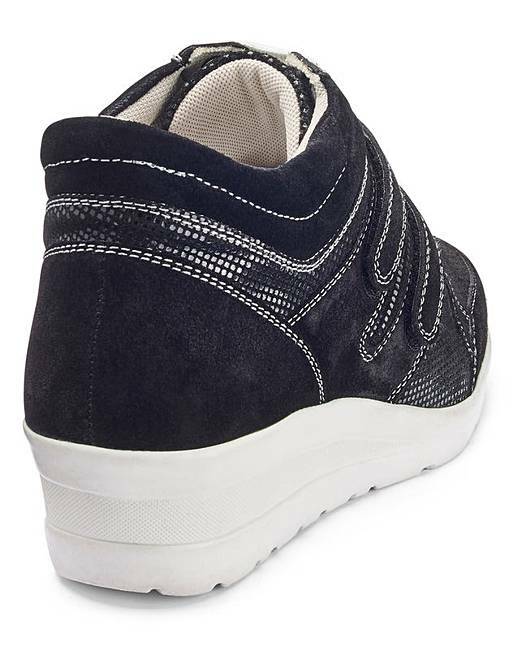 Rated 3 out of 5 by DerbyshireLass from Lovely shoes but not for my problem feet I wish these had fitted me but I have rheumatoid arthritis which makes buying shoes difficult.